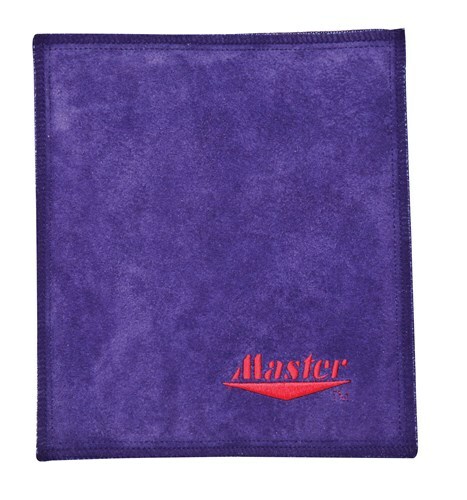 The Master Wipe-It-Dry pad removes oil from your ball better than a microfiber or cotton towel or see-saw. Use it after every shot to keep your bowling ball feeling tacky and keep a strong backend reaction. More absorbent than other materials. Maintains the tackiness of the ball to keep a strong backend reaction. Works on any bowling ball. It is a microsuede material. Due to the time it takes to produce the Master Wipe-It-Dry Pad Purple ball it will ship in immediately. We cannot ship this ball outside the United States.